Stucture:unknown Color:Blue powder. Solubility:80g/l. Use:cotton,yarns,Rayon Exhaust dyeing and padding. Reactive Blue 5,C.I. 61205:l Molecular Structure: anthraquinones C.I. Reactive Blue 5,C.I. 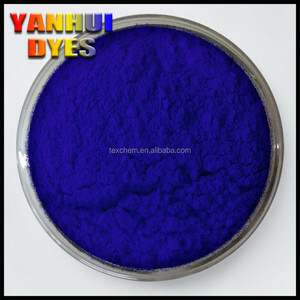 Exterior appearance: Blue powder; Used for exhaustion and continuous dyeing of cotton and hemp. Fastness: 1. Light(Xenon): 4-5 2. Washing: 3-4 3. Perspiration (Acidic: 4, ALkaline: 4) 4. Rubbing (Dry: 4, wet: : 3) 5. 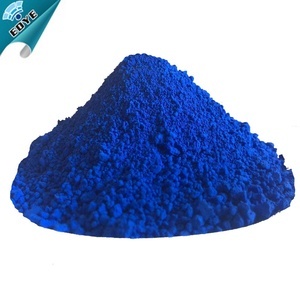 Hot pressing 200oC: 4 Solubility 23oC g/l: 150 Packing: 25kg/carton Reactive Blue KNG:100% 133% 150% 233% 266% any strength can be done as customize. our Turquoise blue KNG is very wonderful in China. 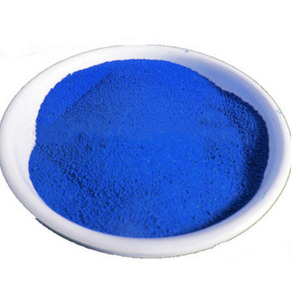 Name:C.I.Reactive Blue 2,C.I. 61211 Molecular Structure: anthraquinones C.I.  Reactive Blue 2,C.I. 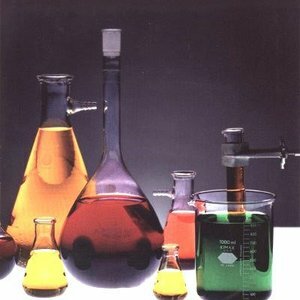 We will test the samples, do the comparison, and recommend our similar items to our customers. We welcome the chance to send our samples to customers to test. If our samples can match customers standard, we will move to orders. Ltd is a professional manufacturer and supplier of flannel fabirc in china. The factory is located in shijiazhuang which belongs to hebei Province. 3. Various kinds of designs and specifications for customer to choose. 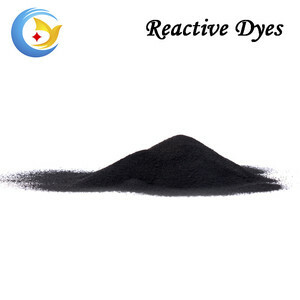 Alibaba.com offers 245 reactive blue 21 products. About 1% of these are pigment. A wide variety of reactive blue 21 options are available to you, such as 100% cotton, ceramic. You can also choose from free samples. 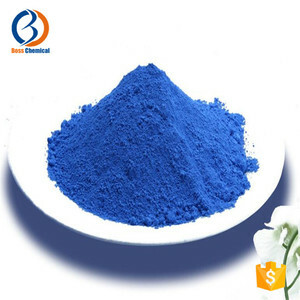 There are 157 reactive blue 21 suppliers, mainly located in Asia. The top supplying countries are China (Mainland), India, and South Korea, which supply 84%, 14%, and 1% of reactive blue 21 respectively. 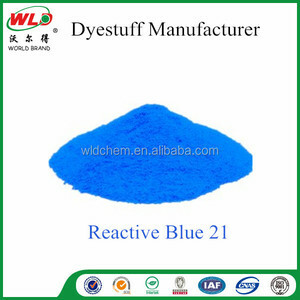 Reactive blue 21 products are most popular in Southeast Asia, Mid East, and North America. You can ensure product safety by selecting from certified suppliers, including 16 with ISO14001, 6 with ISO9001, and 3 with Other certification.